Were you born in December? 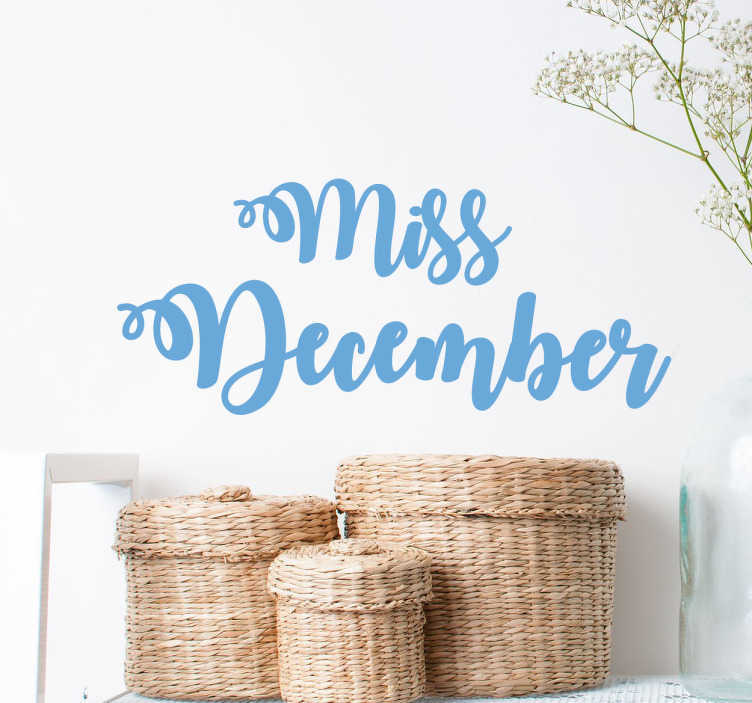 Personalise your bedroom, living room or more with this gorgeous Miss December text sticker available in 50 different colours and various sizes too. Lovely cursive writing to add some personality to the walls of your home.